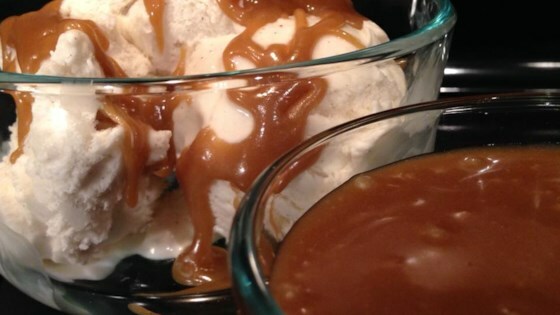 "This is a rich, sweet caramel sauce that can be made at the last minute that is great on bread pudding, gingerbread, apple pie, chopped apples, ice cream, and anything else you want to put it on." Bring brown sugar, butter, and milk to a gentle boil and cook until thickened, 1 to 2 minutes. Remove from heat; add vanilla extract. Wonderfully easy! Using evaporated milk makes it even richer.